I can be a little bit of a magpie; I do love collecting little bits and bobs to decorate the salon and today's guest is another collector. 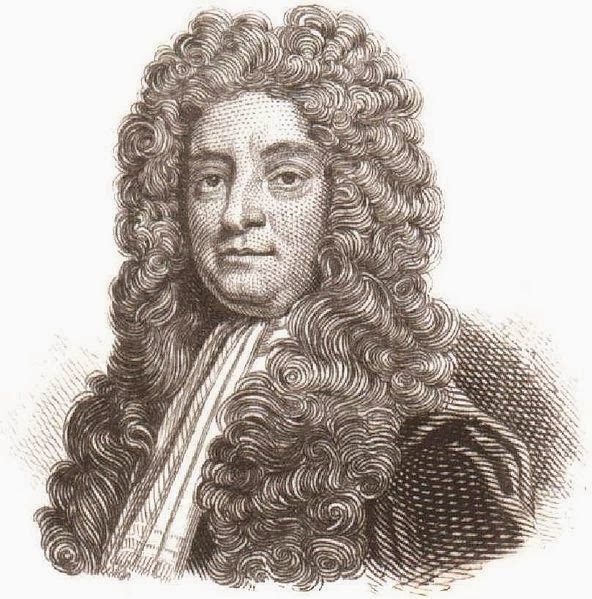 In fact, Sir Hans Sloane was so good at collecting that he amassed enough curiosities and antiquities to lay the foundations of the British Museum itself. Not only that, but he played his part in the discovery of a particular warming beverage that I am partial too of a winter evening! Sloane was born on 16 April 1660 as one of seven siblings and first showed his enthusiasm for collecting as a child, where he discovered an abiding passion for the natural sciences that never left him. When the time came for him to choose a career he decided on chemistry and travelled to London where he studied at the Apothecaries Hall. He had a particular interest in botany and spent four years in the capital studying and establishing himself as a man who knew much about his field of interest. Whilst still in his twenties Sloane travelled throughout France and onto the University of Orange-Nassau, where he gained his degree before returning to London with his newly-amassed collection of botanical specimens. These were used by the famed naturalist John Ray as the foundation for his seminal work, History of Plants. By the age of 30, Sloane was a member of the Royal Society and a fellow of the College of Physicians. When the opportunity arose to undertake a trip to Jamaica to serve as physician to Christopher Monck, 2nd Duke of Albemarle, he seized the chance to further add to his collection, cataloguing his trip and discoveries in two volumes. Whilst in Jamaica he met widow Elisabeth Langley, who became his wife and mother to the couple's four children, two of whom survived to adulthood. Not only did Sloane find innumerable new species of plant and a wife in Jamaica, he also sampled the local drink named cocoa. Finding it not at all pleasant, he tinkered with the recipe until it was more palatable and brought the recipe back to England, where Sloane's drinking chocolate later became one of the Cadbury Brothers' most popular products. The Duke died little more than a year into the trip and Sloane returned to London where he established a prestigious medical career. He was hugely successful and as he served Queen Anne, George I and George II, hugely lucrative too. He was created a baronet in 1716, as well as president of the Royal College of Physicians and on his retirement in 1741, he was truly at the top of his field and had supplemented his own collection by purchasing those of other noted collectors of curiosities. As a young man Sloane had spent long hours in the Apothecaries’ Garden (now Chelsea Physic Garden), founded in 1673 at Chelsea. In 1712 he purchased the Manor of Chelsea and with it, the land where the garden stood, ensuring that it was expanded and cared for. He enjoyed his retirement in Chelsea for twelve years and, on his death, bequeathed the land to the Apothecaries' Company in perpetuity. He also bequeathed his entire collection of more than 70,000 items to the nation on the condition that the government pay his executors £20,000 in return. This sum was vastly less than the collection was worth and parliament was quick to accept and used this as the foundation of the British Museum and later the Natural History Museum. Sloane lives on in the very fabric of London too, having given his name to a certain Sloane Square, amongst others.